Mark your calendars for a week of pollinator education and fun! 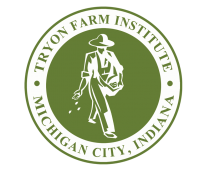 Tryon Farm Institute is your local connection to National Pollinator Week! Beginning June 18th, TFI will begin celebrating our pollen-hungry friends with educational events, a film series screening, and a capstone pollinator dinner for all to enjoy! Stay tuned!